Thanks to Bill Slawski of Go Fish Digital for input on some of the specifics of this article (note that all the speculations are mine, not Bill’s :)). Next article: Is Content Marketing a Hamster Wheel You Can’t Escape? And I think that is a huge factor on why Hummingbird was created. People who use voice search will search like they talk, which means Google needs to understand what people mean outside of a few select keywords. If they don’t deliver a great product they risk losing search share to other search engines. I feel the same too, however, I think Google could become evil if they decide to make these updates private. Imagine, next year, Google won’t tell what they’re up to. We’d have to guess, by reverse-engineering the top 10 SERPs. Do you think that’s possible? Since they already make most keywords “not provided”… would it be that hard for them to make these algo updates “not provided”? John, if Google published its algorithm, what would happen? Use your brain. The whole reason to update the algorithm in the first place is to stay a step ahead of all the spam, and all the SEO idiots trying to trick the system. Don’t worry about “rankings” and instead worry about providing users with the best content possible. Yep – Hummingbird was definitely created to prepare for the increase in voice searchers. Before Hummingbird I was getting pretty irrelevant results by asking Google things in the way I speak. Now the results are much improved. And we can all learn from Google. Keep on growing to serve your customers. You may not be the only one, but create in your customers the belief that you are the ONE they need. Very well-explained post Eric! A whole industry had grown up around how to search effectively using words search engines would understand. Its interesting how that will now back-evolve (totally made-up term alert) as it were! What’s great to note though is that content creators need to focus on solving real problems with basic SEO knowledge in the backdrop. Thanks for the awesome examples whixh effectively illustrated how things work now and may work in the future. Awesome explicit post Eric! However, I’d like to ask: outside of search, how do you see the increasing complexity of Google’s semantic processing capabilities affecting the way that content is being both located AND consumed? I know it’s a bit off topic but it’s one of the questions that just bu bubbled up to the surface of my mind! Daryl – over time I picture people becoming used to using natural language queries. The big piece that intersects with this is the use of voice search. Keyboards are lousy input devices. They have just been the what we have had. But voice processing continues to improve, and will eventually become a preferred way of interacting with the computer. One of the reasons Hummingbird was created is that it is a first step in getting ready for this. For content creators, that is a great question! I think it will push us more towards identifying and speaking to human wants and needs. I now that can be seen as a vague statement, but the people who are able to execute well on it will do very well I think! Eric, I think that is a valid point that voice processing is the way of the future. It does seem as though the Hummingbird update has us headed in that direction. One thing worth noticing is that Google is not putting more emphasis on Google Knowledge graph while taking the data from users through Android, Chrome and Google now. There was a post I read few months back on how small the share is for organic results as a major portion is occupied by Image carousel, Knowledge Graph, Paid Ads and Maps. The key is to invest in content marketing and answering questions of the people rather than fighting for keyword ranking. Very, very informative post . I find Google’s updates quite interesting and feel they are trying their best to better their search. The potential of Google Now is amazing , however they do have to take care of the privacy concerns. Well written Eric! This update merely forces us to bump up our game. Better serve your target audience by creating content around their needs. Think of your ideal reader or user and create. Rather than complain bloggers should be grateful that Google is raising web credibility. This benefits everybody. I’m a little fuzzy on what it means to create content that will do well given Hummingbird/semantic search. Especially as it seems like simultaneously, Google is giving us less and less data about how people are finding us. I will say that I’ve benefited enormously from hummingbird – up ~30% over the past few months? Which is excellent. But also slightly concerning as I’m not entirely sure what I’ve been doing well and thus should continue to do? It means write for humans, as always. Google still provides all the data you need via query aggregation (aka keyword search volume accessible by keyword research). That’s the language of your audience, even as it evolves into more natural speech patterns due to voice search. As Brian says, write for humans is the mission. The subtleties of this process relate to how well you understand what your potential users would be interested in. Do whatever it takes to figure that out! And, by the way, as they tell you want they want and need, they will be giving you the ideas on things to write about! Eric, this is a great explanation. Thank you for that. I think the changes are for the better. Focusing on keywords has always made content creation feel a bit forced. You have a great idea you want to get out, but you also want it to be easily found by Google… This will allow content creators to just focus on getting their information out there. Nice post Eric; thanks! Eventually the productivity possibilities of voice recognition and apps will allow all of us to have the equivalent of a personal stenographer at our beck and call. The Google hummingbird algo update is an encouraging tech advance for those of us who are lousy typists and/or old-enough to remember those semi-ubiquitous, little dictation recorders–only sans the transcribing process to convert the voice stream to useable data. Google will then interject and ask me, “Steve, I’ve verified that information about [subject] and inserted the details into your story, marked for your review…” etc etc. Better, seamless applications–real Jetsens-like stuff (I said I was old)–is just around the corner. Do you see that kind of application developing anytime soon? Very interesting! After reading this, I picked up my phone and did my first voice search for “Google’s Hummingbird algorithm.” Then I tried a longer query: “I want to know about Google’s Hummingbird algorithm” and got pretty much the same results. I suspect there are going to be some keyword stuffers trying to grab those more long winded longtail keywords, but in the end, quality content will win out, as it should. While some experts are claiming that Hummingbird wasn’t that impactful to search, your query sequence example proves its impact. Amazing. Keep the great content coming. I say to my clients, “Step into the shoes of your clients and customers as they search online. Think about the words and phrases they use. Think about the problem they have that needs solving.” It may sound like you have to be a mind reader, but Google Hummingbird will force you to know your audience inside and out so you can write for them. Tell a story and invoke emotion. Become the “go-to” company, coach, mentor, or speaker. Thinking about the increase in voice search capabilities as mobile becomes the primary device for information consumption has my mind spinning. We are just on the cusp of integrating the mobile web as part of our regular set of services and then the Hummingbird algorithm comes along. I think it will take a year or two for the mass market to understand what this means but for us marketers, this is an opportunity to dive in and figure out how to improve the work we do for ourselves and for our clients. Improved intent and relevance are the keywords I take away from this. No pun intended. Like Brian says, write for humans. Like Eric says deliver value and like I say, Create a G+ Community (Private Forum) and if your content is really good, they will stay in Community and if your content is REALLY REALLY good, they will tell their friends. Curious what your thoughts are regarding post length? Considering that you now need to think about content that truly addresses specific wants and needs. If you want to become the recognized authority in your space (and be more in-depth than anyone else) wouldn’t it make sense to focus on content rich, pillar posts (1000 + words) that go deep? Craig – the post length should fit the topic. There is an entire sequence of things you need to learn about how to slice articles into different topics, best way to structure them, etc. That kind of quality content is all over this site – Copyblogger. But, ultimately, make the content length fit an appropriate level of treatment for the topic! Every time Google makes changes, content writers seem to panic. I used to be one of those but I no longer care what Google does since I try to follow Copyblogger’s first rule of providing quality content for my readers. Although I still try to make the most of my keywords, I feel that whatever Google does is beyond my control so other than coming in here; I don’t even try to keep up anymore. Ah yes, the pain of having to think! Eric, thanks so much for such an informative article – it’s the best I’ve read yet on Hummingbird. As a copywriter with a DM background from the pre-digital age, quality content has always been my mission. Understanding the target audience, using the right tone of voice, addressing their needs, clearly communicating benefits of the product or service, a succinct call to action – all ‘old-school’ stuff, but it works. Over the years I’ve stuck to it, politely ignoring SEO experts insisting on keyword-loading the content. If it didn’t sound natural, it didn’t make my final draft. So now Hummingbird takes search to a more human, conversational level – hooray! For mobile or computers, it’s a vast step forward. Thanks again for your great insights. Fantastic article. Hummingbird is just the beginning of a new era of what’s to come from Google. I’m excited. If you’re already doing things naturally and focusing on quality, there’s nothing to worry about. Actually, the name comes more from my passion for ancient stone temples, hence the logo! 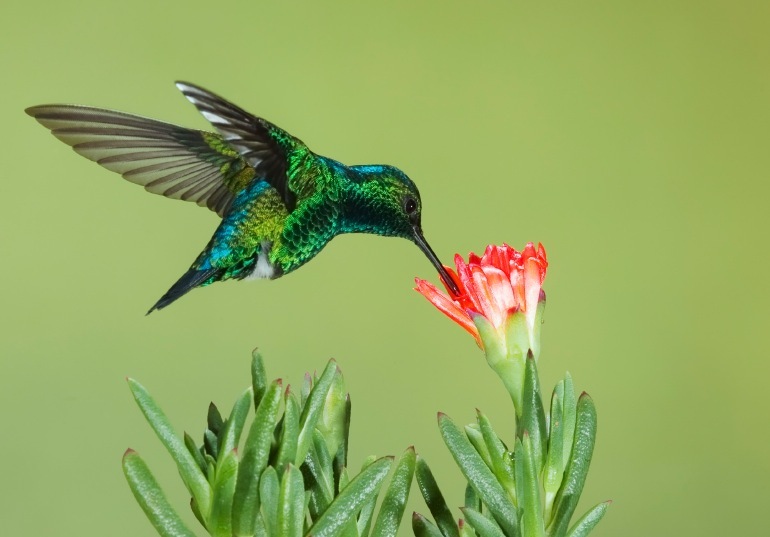 Very detailed and informative article on Google Hummingbird. Now, I easily understand where Google is going with this update. I will follow your advice and others and make sure I am writing for humans. Sorry Brian and Eric, but how are scraped results good news for content creators? All examples shown above do NOT benefit content creators. The user stays on Google and gets scraped or stolen content served right there be it images or information taken from third party sites. 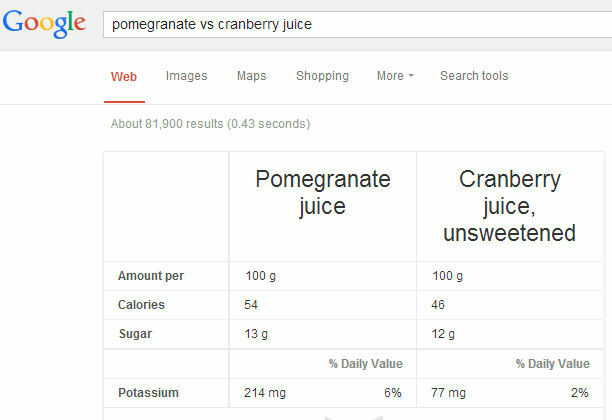 You can make that argument for Knowledge Graph results, though that uses information which is all only public domain knowledge. While I used mostly Knowledge Graph related examples above, Hummingbird relates to much more than that. It is understanding user intents that is the key for content creators. 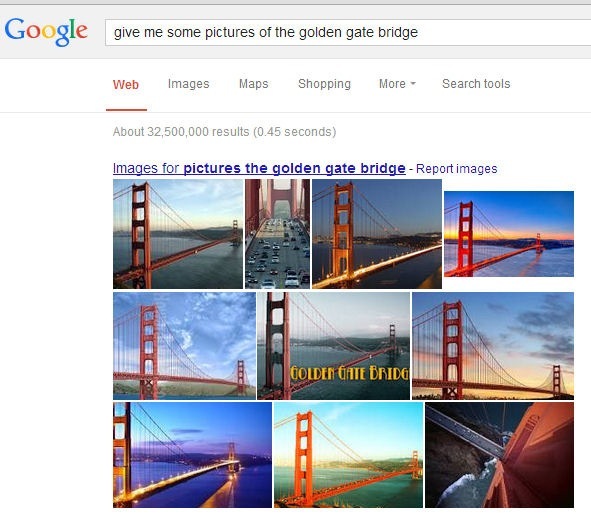 “Golden gate photo” vs “what does the golden bridge look like” (which doesn’t even have the word photo/picture. Great post, I am happy that content moves to center stage. It will mean better work and levels the SEO playing field so it seems. I guess a little time will tell with that part of it. Really great post Eric. Thanks for providing us with a good explanation of “The Hummingbird Update”. But my thoughts are this. It will be a long time before Google algo will really be able to distinguish between what I really want and what it thinks I want. This would include voice word recognition. How can any program distinguish or calculate the following search query “What is the hummingbird?” The bird itself or the Algorithm? There are hundreds of others but this is the first one that popped into my head. As it stands now the query brings up mostly the definition of a hummingbird…but there are a few listings of “hummingbird Algorithm”? Good stuff. Discerning the user’s intent via big data should be a great customer experience. Someday. . .
Something related to content creation that I’ve been curious about – do you think that going to a “spoken word” content creator would help with the natural speech/semantic speech aspect of Hummingbird. I’m just thinking the way I write versus the way I speak (or when I use software such as dragon naturally speaking) differs. Not greatly, but it is different nonetheless. Not sure if speaking software would affect or make content better for hummingbird or not, just something I’ve been thinking of since it’s release. I think the key is to focus on the potential user intents just as Google does. I think Google is simply trying to translate the spoken word into that intent. So it may indeed be helpful to understand how the spoken word relates to specific user intents. But, I suspect that is no small task! Great post Eric! I think the fear that comes from the algorithm updates is that it forces us to do our jobs better and we have to get out of our comfort zone of tracking whatever we’ve been tracking since the last change. Keyword data has become almost a crutch for a lot of content marketers and as much as I panic with each change, it ultimately simplifies the way to look at things – just write for humans! Great article. I think we are always worrying about SEO and how to do it better so much so that we tend to lose sight of the bigger picture. I think this type of search is fascinating and look forward to Google’s work in this area in future. Great overview. definitely this will change the search and keywords patterns over the tips. But I still think not everyone will be changing their search and will continue to use the keywords. I will be interested in researching on what are the implications for SEO? What do we do about this? we need to carefully consider what users are actually looking for. Wow. Great detailed analysis. I think what you’ve written is spot on and is great news for all the people out there creating meaningful content that people actually use. Now this is an awesome article and so far the best one I read about the Hummingbird saga. Though you have done a detailed analysis and came up with valid points, I don’t think these things are not going to happen in a vast majority in any time soon. But the search is evolving day by day. FWIW, I can’t reproduce those queries in google.com.au, so this might still be only valid for google.com. 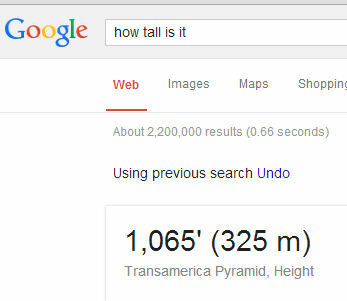 Even for the latter, while the query “give me some pictures of the golden gate bridge” brings up the set of images, the subsequent “how tall is it?” query only brings up an old fashioned SERP with some pages that address everything other than the GG bridge. It’s hard to not scale down the content when you’re gearing a site towards mobile users. On the one hand, textual content is essential for getting those long-tail keywords. But on the other hand, I agree that most mobile users don’t want to read as much – they want to click and find what they’re looking for quickly because they’re on the go. Has Google ever released a breakdown of how many searches are voice activated? I don’t think they have, but I would love to see it if they do! Big G wants to dominate mobile search? I bet they have already, they just want to hold tight to it just like PC/laptop search!! Google has not released page rank even up till now, they are discarding off some free tools……and with the arrival of hummingbird…..the goal is to simply dominate all aspect of IT…from manufacturing of PC, mobile phones, data analysis, mobile search e.t.c. They are just in for the money and want to monopolise the market. Thanks for a great article. I still somehow feel that there’s more to these google updates than just quality. There are some blogs with quality and unique content that have suffered a drop in traffic as well. At the end of the day Google want to maintain their control of the search market and they seem to want to achieve that by rewarding brands rather the common man in the street, the so called authorities on various topics. They should just let the public decide what they consider authority sites through their repeat visits and shares as before. 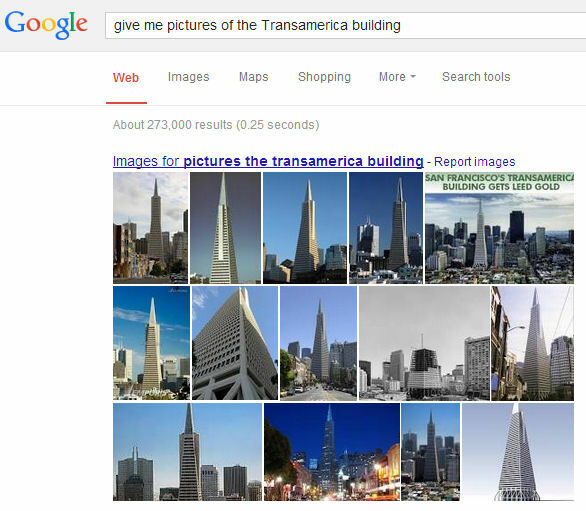 First a use as same as you, ask the google “give me some picture of transamerica building” and then I ask “how tall is it” but the result is irrelevant from the first query. Hummingbird hit some of the sites I am working on but i do agree that this algorithm is the one which you cannot fool around with or manipulate. i am sure the quality will win and so the ones who do not change will perish like i did. thanks. When I was a newbie I used to type in natural long search phrases. Then over the years I got accustomed to typing short words to get more accurate search results. Now that I have learnt it they have again changed the whole game. I just don’t understand what does Google actually want to do with search and what do they intend to do with the average joe user! Eric, this is the best post on the Hummingbird Update, Semantic Search and forecasting the emerging search trends that I have seen to date! (And I’m telling my Tweeps RIGHT NOW! I agree with you that the better Google gets with semantics and predictive filters the higher the bar will get for content writers. But – YES – this is good news because it drives a fatter wedge between crap and quality! Sure, it’s a bit tough to anticipate how exactly the search engines will achieve their lofty goals for “relevant results”, and impossible to guess at the timeline for development. But Google has demonstrated that this train ain’t turning back! We’ll be seeing a steady increase in the intelligence of those algorithms, and in the growing futility of playing games to outsmart the engines with sub-par content. Oh wow! Great write indeed. The article touched a few (excellent as a matter of fact) good points on Hummingbird. Love the semantic thingy! I’m definitely beginning to see the gap narrow between optimised and non-optimised websites. I think this is because website owners who don’t think ‘optimisation’ write much more naturally and much more as you would talk about it rather than write it. However, does this necessarily mean the results are going to be more relevant? I know some really informative websites written by leading experts that are getting incredibly low search positions with poorly written websites that are often factually incorrect ranking above them. Now if Google could come up with an update that could detect factual errors that would be a real advance. Impressive update. I think it’ll be better because in a way it’ll be easier to write content without trying to “insert keyword phrase here.” Sometimes keyword writing can feel a bit forced IMO. I like the hummingbird update. It helps those find exactly what they are looking for. This update will help do away with “shady” SEO. This is definitely going to help point search queries in the right direction, especially if follow-up releases continue to build on what Hummingbird has started. Thanks for this very thorough post, Eric! This had been on the cards for a while, it was only a matter of time before it was actioned. It is a good thing and has cleaned up a lot of the web. Unfortunately it isn’t fool proof and some great sites also suffer unnecessarily.